Obituary for Harry Leonard Lynch | Eley Mccrory Funeral Home, Inc.
Harry Leonard Lynch, 83, a lifelong resident of Perryopolis, Pa., passed away peacefully Wednesday, February 21, 2018 in Country Care Manor, Fayette City, Pa, surrounded by his family. Harry was born January 11, 1935 in Perryopolis, Pa. a son of Van Mahlon Lynch and Olive Stuck Lynch. Harry Leonard was a member of the Perryopolis United Methodist church where he served as a trustee, on church council, sang in the choir and was the janitor for many years. He was a US Army Veteran having served during peace time. Leonard was a 62-year member of the Perry Twp. Volunteer Fire Department where he served as Secretary from 1962 to 1990, co-chairman of the street fair committee for numerous years, chairman of the kitchen committee, a line officer and Past president and treasurer of the PTVFD Relief Association. He was a member of the Fayette Co. Fireman’s Association where we served as President from 1973-74 and also served the association for 28 years as their Treasurer. He was a member of the Western Pa. Fireman’s Association where he served as President from 1987-88, member of the Board of Control, past president of the Old-Timers Association from 1987-88, member and past Top Hat of the High Hatters Association 1987-88, which was formed in Perryopolis in 1964, and currently was one of their Chaplain’s. 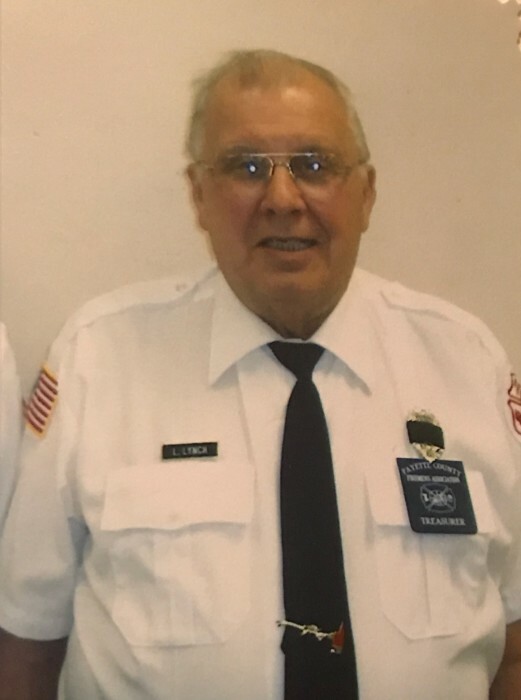 He was a Past Secretary and Chaplain of the Southwestern Pa Chief’s and Assistant Chiefs Association, and a member of the State Fireman’s Association. Leonard also served on Perryopolis Borough Council for several years. Leonard his wife Janice, brother Dyke and his wife Barb attended numerous Conventions of the Fayette Co., Western Pa. and State Associations where they made lifelong friendships. No matter where you go in the Southwestern Pa Fire Circle of friends and mention the names Leonard and Dyke Lynch someone knew them or were friends of theirs. Uncle Leonard passed his passion for the fire service to all his nieces and nephews in some manner, either actively involved the fire service, chasing the fire truck to see what is going on or behind the scenes helping their local fire companies in their hometowns. Rest easy Unc we will take it from here! Harry Leonard is survived by two sisters, Newana Seruga and her husband Stanley of Rochester, NY, Linda K Eley and her husband E. James Eley, Jr of Fayette City; three brothers Donald Lynch and wife Joyce, Barry Lynch and wife Nancy and Charles Lynch and wife Sylvia all of Perryopolis, Pa.; two sisters- in -law’s, Janet Faye Richter and Jerene Kay Zundel and husband Robert both of Perryopolis, Pa. Uncle Leonard is also survived by 18 loving nieces and nephews and 35 loving great nieces and nephews. He was preceded in death by his parents, his wife of 48 years Janice Rae Richter Lynch on Feb 25, 2015, brother and sister in law Harold “Dyke Lynch and Barbara Lynch, and his nephew Donald Lynch. Friends will be received on Saturday Feb 24 and Sunday Feb 25 from 2 to 4 and 6 to 9 pm in the Eley/McCrory Funeral Home, Inc., 334 Mani St. Fayette City, Pa. 72-326-5621, www.eleymccroryfuneralhome.com Additional viewing will take place on Monday Feb 26 from 10 to 11 am in the Perryopolis United Methodist Church. Funeral services will take place at 11 am in the church with Rev. Derek R. Platt officiating. Interment will follow in the Mt. Washington Cemetery with full military honors accorded by Perryopolis VFW Gold Star Post 7023. Perry Twp. VFD, Fayette Co, Western Pa and Southwestern Pa Chief’s and Assistant Chiefs Associations will conduct a combined memorial service on Sunday evening in the funeral home at 7:30 pm. Memorial contributions may be made to the Perryopolis United Methodist Church, PO Box 613, Perryopolis, Pa. 15473 of the Perry Twp. VFD, PO Box 91, Perryopolis, Pa. 15473.